Months back, a client launched a Tumblr blog. I won’t get into why they/we decided on a Tumblr blog, I’ll just say that we launched a Tumblr blog. I had never done much work with Tumblr before, so I relished the opportunity to dive in and see what I could do, Tumblr-wise. Turns out Tumblr is much more versatile than I even knew. 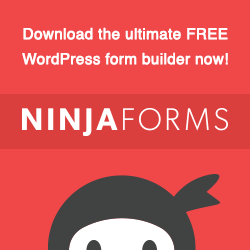 You can add an HTML theme and completely customize the appearance. 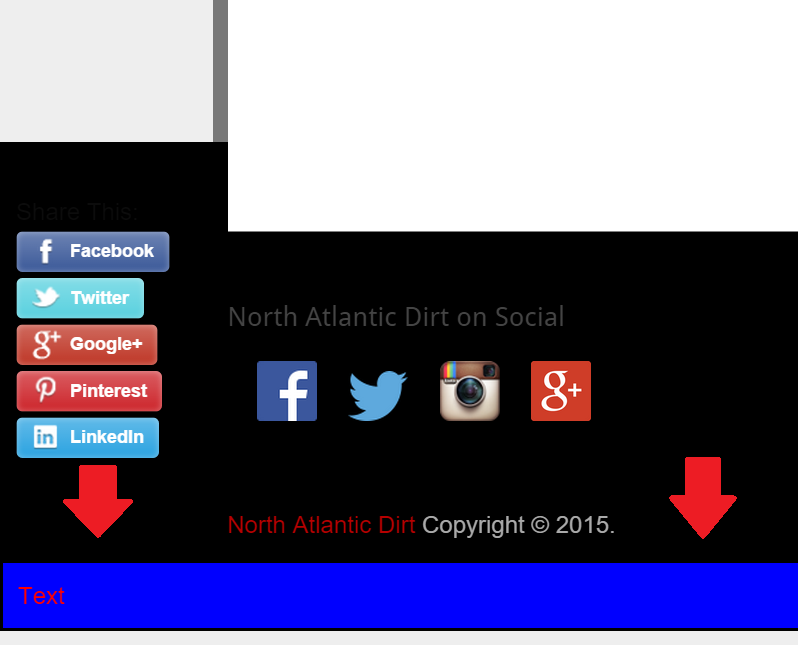 You can add Open Graph tags and Twitter card data. You can add canonical tags and re-targeting pixels. You can add Google Analytics and track traffic similar to a regular website. However, there are limitations, specifically, the ability to edit post-specific data. Sure you can use the HTML editor, but that only adds code in the body of the post. Details like customized titles and meta descriptions that belong in a page’s <head> section leave you up a creek without a paddle. For some length of time I’ve hypothesized about how to add a post-specific title and meta description rather than either A) using the same title/description for every Tumblr post or B) relying on a truncated snippet from the post body itself. More specifically I wanted to do this with open graph tags, so that when I share a Tumblr post to Facebook or LinkedIn, it formatted nicely. I largely gave up on this for a long time, until I was messing around with Google Tag Manager and a light bulb clicked on (really, it was like a Looney Tunes cartoon). 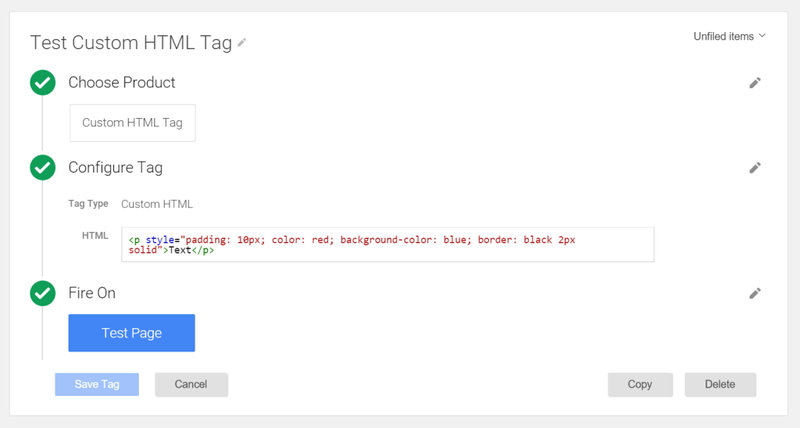 Google Tag Manager lets you insert custom HTML tags and even do so on a page-by-page basis. Why not add a meta description and open graph description and set the tag to fire on one specific page? Although this would be an enormously inefficient effort to create a new tag for every Tumblr post it at least sounds plausible, right? This prompted another question: When you add a Custom HTML tag with Tag Manager – where does it go? I searched the web and found no answers. Ideally I want this information in the <head> section where it belongs. To find this answer, I created a custom HTML tag in Tag Manager that injects a hideous blue text box into the page. I published the Tag Manager container, cleared my cache (necessary) and reloaded the page. I’ll probably continue thinking about ways to mess with Tumblr, just because I like a good challenge. Maybe I’ll even find a way to get what I want. Until then, I’ve at least found one more way that it cannot be done, which at the very least narrows down the pool of potential options. Plus, I learned one more detail related to Tag Manager.